This is a distillery with some balls. Not content with just any slice of land, these guys built their stills in 1955 underneath Mount Asama—an active volcano. They only used Golden Promise, an imported barley from Scotland that was praised for its stellar character when matured for longer periods of time. The distillery closed its doors in 2000 and its old stocks are coming out in special releases. And yes—they get snatched up pretty damn quickly. This fourth release of the Cask Strength series was bottled exclusively for the Taiwanese market. 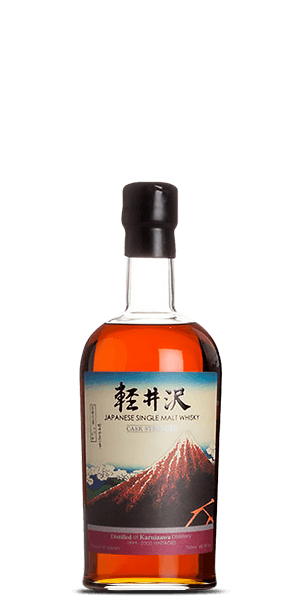 Matured in Sherry butts, this is Karuizawa you need in your collection. What does Karuizawa Cask Strength 1999-2000 4th Release taste like? The Flavor Spiral™ shows the most common flavors that you'll taste in Karuizawa Cask Strength 1999-2000 4th Release and gives you a chance to have a taste of it before actually tasting it.